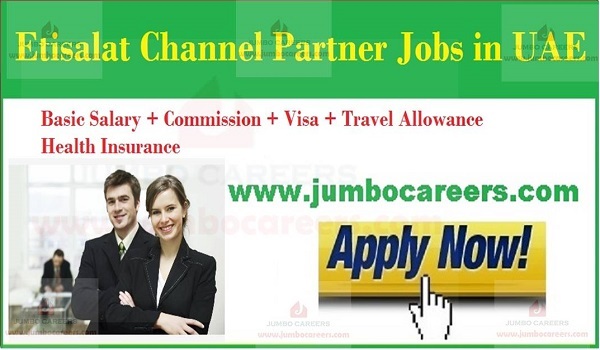 Etisalat Channel Partner in Dubai seeking Outdoor Sales Executives for Dubai, Abu Dhabi and other emirates in UAE. Its a free and direct recruitment by the company. Location : 050 Telecom Head Office Warehouse, Near Noor Bank Metro Station, Dewa Office, Behind Dynatrade Center, #14 Al Quoz Industrial Area 3, Dubai.